Thank you for the lovely review guys. Was fantastic working with you and look forward to many more exciting projects in 2018 and beyond! Great company to work with. they love being challenged by our creativity and always find a solution to our creative problems. Keep up the good work. 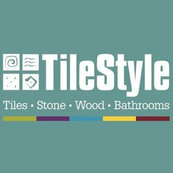 I've worked with TileStyle on a variety of projects and they always assist at every stage and deliver with quality products. Relationship: Supplied products for recent residential project.